Australians, and people around the globe, are living longer than ever before due to an increased awareness and understanding of the factors that influence our life span, such as genetics, health care, workplace health and wellness, hygiene, diet and nutrition, exercise, and lifestyle. According to the latest statistics available from the Australian Bureau of Statistics*, a 65 year old Australian could on average expect to live until age 84.6 (male) or age 87.3 (female). In a retirement context, that’s an expected 19.6 years (male) and/or 22.3 years (female) that needs to be appropriately planned for as a single or couple. However, it’s important to note that there are many factors, such as the ones listed above and how they relate specifically to an individual, which could see someone live above (or below) these quoted average life expectancies. For many of us, we often imagine retirement as that chapter in our life when we can finally kick back and enjoy the fruits of our labours, which we worked so hard to accumulate. For example, we plan to make the most of the time and resources that we now have at our disposal by doing and seeing the things that may not have been possible earlier in life for one reason or another (e.g. due to personal and/or work-related constraints). These three chapters follow on from two preceding ‘life’ chapters, accumulation and transition to retirement (where applicable). Please see the below table for a summary of the three retirement chapters. As you can see from the table above, these three chapters do overlap in terms of the age ranges. This is cognisant of the fact that whilst increased age is often a determining factor with regards to a decline in physical and/or mental health, the point in which it does start to occur, and progress, can vary from one person to the next. Males could expect to live 8.7 years without disability and another 10.4 years with some form of disability, including 3.7 years with severe or profound core activity limitation. Females could expect to live 9.5 years without disability and another 12.5 years with some form of disability, including 5.8 years with severe or profound core activity limitation. As a retiree’s health does decline, there are implications on a variety of areas, such as time, work, finances, as well as their housing and care needs. This point is briefly highlighted in our article, “Retirement living: How much is enough? (It depends)”. 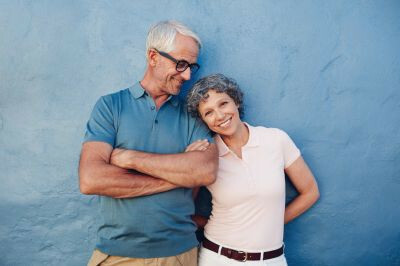 Whilst retirement is something to look forward to (and be enjoyed), it’s important to understand that there will come a time in your retirement years when your age will start to get the better of your mental and/or physical health, which will have a range of implications as seen above. Retirement savings considerations, such as income and expenditure (e.g. changes in spending habits and retirement lifestyle, as well as senior concessions available) and the risks facing retirees (e.g. longevity and expenditure risk). Aged care considerations, such as the type, level and cost of aged care services required (e.g. Commonwealth Home Support Programme, Home Care Package and Residential Aged Care) and what to do with the family home (e.g. sell it or keep it and rent it out/not rent it out). Estate planning considerations, such as a will, powers of attorney, guardianship, advanced care directives, as well as wealth transfer. Importantly, if you have any questions about what we have discussed in this article, please contact us. *Australian Government, Australian Bureau of Statistics. Life Tables, States, Territories and Australia, 2014-2016. ^Australian Government, Productivity Commission. (2015). Housing Decisions of Older Australians. #Rice Warner. (2014). Investing for different phases of retirement. *#Australian Government, Australian Institute of Health and Welfare. (2014). Healthy life expectancy in Australia: patterns and trends 1998 to 2012.